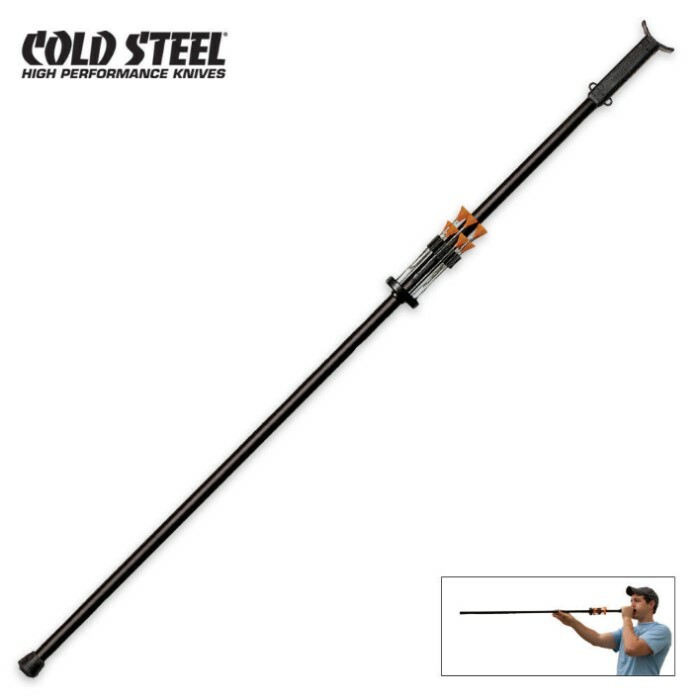 Cold Steel 4ft Blowgun | BUDK.com - Knives & Swords At The Lowest Prices! Thise state of the art blowgun is designed for the serious outdoor hunter or competitor. Designed for use with a .625 caliber dart, which is more powerful and faster than the .40 caliber models. The basic models come with a mouthpiece, rubber ferule, dart quiver, and 36 darts.